April 8, 2014 By Allyson 28 Comments This post may contain affiliate links. Read my disclosure policy. As a lot of my readers already know, I am currently pregnant with my second son! We are super excited for his arrival in July, and can’t wait for our 3.5 year old, Austin, to meet his little brother. As great as it is to be able to bring another little human into the world, there are several negative side effects women suffer from during pregnancy; morning sickness, fatigue, headaches, aches and pains, weight gain, and general un-comfortableness are just to name a few (trust me, this is just a few…). There are some symptoms that you can relieve by following different tips and tricks, but some are just unavoidable- like weight gain. During pregnancy it is tough not to gain a lot of weight. Throughout the first trimester of my first pregnancy, all I craved was carbs. With my first son, the only thing that would curb my endless ‘morning’ sickness (or all day sickness is what I liked to call it), was my daily stop at a pizza shop around the corner. I’d order up their lunch special; A slice of pizza and a soda and feel confident that after consumption, I’d feel normal again. However, after 16 long weeks of this going on, I knew I had to make some healthy changes. Luckily I wasn’t rapidly gaining weight (because I was sick so frequently), but I knew eating pizza every day was not healthy, or what my growing baby needed. I started eating more healthy and fresh foods, and I started having more energy and feeling better most of the time. Flash forward 4 years later to my current pregnancy and I was back in the same boat; constant morning sickness and fatigue, but being too busy to really take good care of myself. I was drinking ginger ale by the glass to help my morning sickness, and then I realized I was consuming WAY too many liquid calories. I searched for a different, lighter option, and that’s when I found Dr. Pepper Snapple Group’s Ten Canada Dry, with only 10 calories per serving. It looked very promising! I headed home to make my go to lunch; a veggie burger with cheese, spicy mustard, pickles, and lettuce on a wheat bun or English muffin. 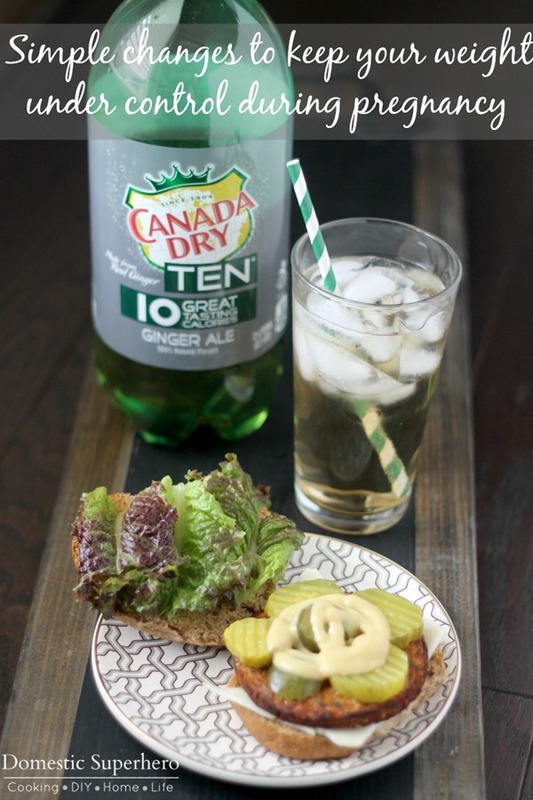 While putting my sandwich together, I poured myself a glass of the Ten Canada Dry Ginger Ale over ice. Having my drinks super cold is very important to me! Next, I prepared my sandwich…. It’s very easy to make, and this is seriously the most perfect sandwich ever. 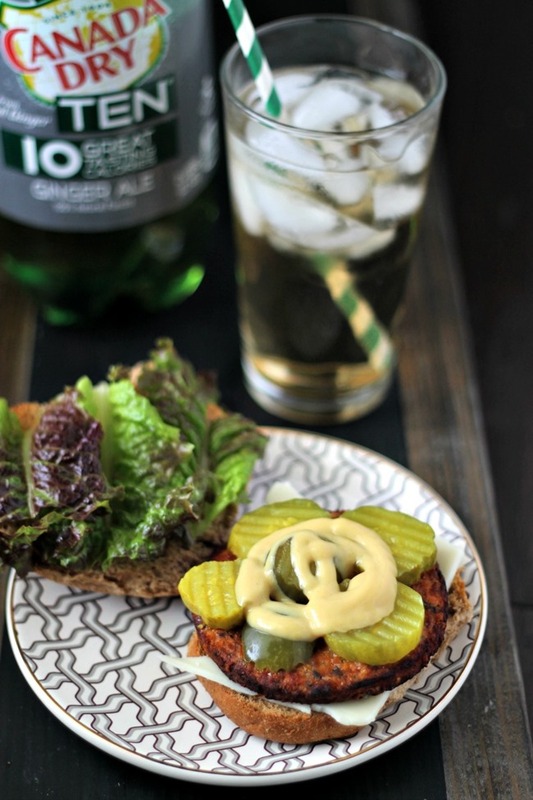 After you toast your veggie burger and lightly toast your bun or English muffin, you add a slice of cheese, the burger, a large serving if dill pickles, the spicy mustard, and lastly the lettuce and then top of the bun. Perfection. I always get so full eating this lunch, and it’s seriously perfect if you are trying not to go overboard with calories. Depending on what brand you use, the sandwich is under 300 calories and the drink is only 10 calories! You can’t beat that if you are trying to eat a healthy, filling, low calorie lunch! 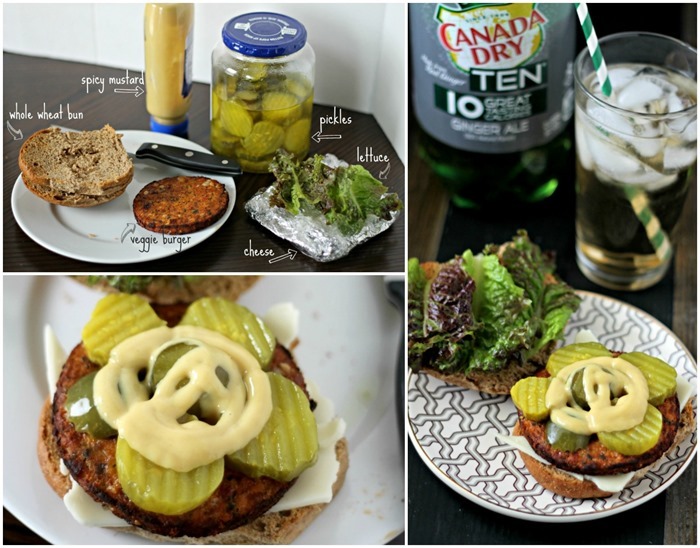 The combination of this sandwich and the Ten Canada Dry soda was the perfect meal. Even though everything was lower calorie and sensible, there was absolutely no sacrificing of taste, flavor, or satisfaction. I was also excited to find out the the Dr. Pepper Snapple Group also have 3 other TEN calorie drinks: 7UP, Sunkist, and A&W. As for other simple changes that can be made to keep your weight under control during pregnancy, here are a few…. 1. As we talked about above, try using lower calorie substitutes like the TEN beverages. They taste just as good, if not better (totally better in my opinion) as the higher calorie versions. 2. Be sure to eat a decent, balanced breakfast. Not starting your day out on the right foot can lead to major cravings and feeling famished later in the day. By eating a sensible breakfast, you will be less likely to overindulge throughout the day. 3. If you feel like something indulgent like ice cream, go for it! Just try to stick to the serving size or maybe a little bit more. No one needs to eat an entire pint of ice cream, and that will just make you feel blah later on. 4. Go for a walk after dinner! Enjoy your meal with your family and then head out for a 20 minute stroll around the neighborhood. Not only will this burn a few calories, but it will also help boost your energy and help you sleep better! 5. Get some rest. People who don’t sleep enough and are often fatigued, are more prone to eat when they aren’t really hungry. By getting a good night’s rest, you are setting yourself up for a successful day! Like I said, these may seem like ‘no brainer’ tips, but for me, when I am pregnant, every little reminder helps. You have to go above and beyond to take care of yourself during pregnancy and these little changes and actions can really have a positive effect on keeping your weight under control during pregnancy. Lots of great tips! I know most women worry about gaining too much weight during pregnancy. Do you know what sweetener the TEN sodas use? Just curious, because I’m sensitive to Splenda/ sucrolse. I let loose when I was pregnant. I figured it was my time to indulge. Thanks for these great tips! I let myself eat both healthy and sometimes not so healthy things when pregnant LOL. I wish I knew these tips when I was pregnant with my daughter! I gained SO much weight! I gained 40 pounds with each of my kids, and enjoyed gaining every pound! Did not enjoy having to then lose each of those pounds! Getting a balanced breakfast was my biggest problem when pregnant thanks to morning sickness. When I could, it made a huge difference. I totally agree! I know that if I don’t get my breakfast in, I am going to be in trouble the rest of the day! Oh great tips! And love the photos! Great tips! I need to bookmark these because we plan to TTC at some point in the future and I don’t want to blow up like I did with my last pregnancy. I gained a crazy amount of weight! Great Tips I’ll Definately Pass On To My Pregnant sister In Law!! I wish I was smarter with my first pregnancy! I blew up like a damn whale, and got 101 million stretch marks! That ginger ale looks impossibly delicious right now. I’m happy to try that for a mere 10 calories. These are some great tips, that I won’t need anymore but happy to share. Great advice. 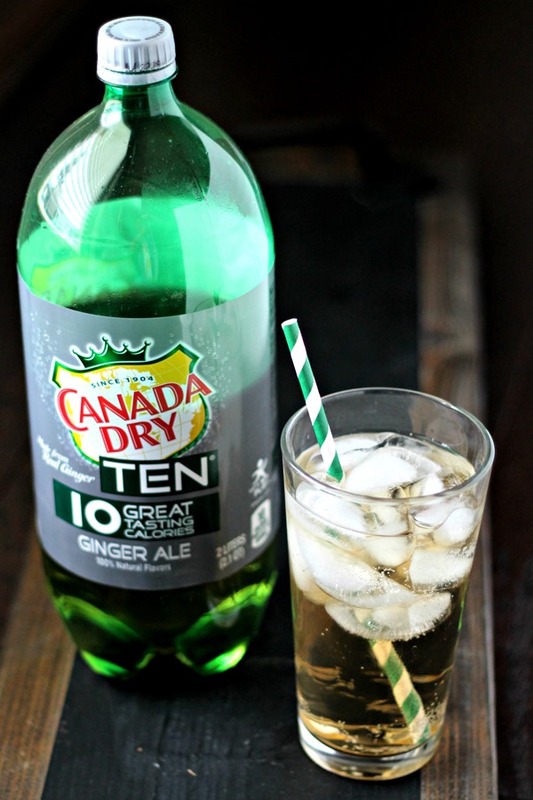 Have not tried the Canada Dry 10. Will have to check it out. You gave some interesting ideas for keeping fit while pregnant. This is a topic people will be interested in reading about. I’d love to know what sweetener is used too. And I totally love that you encourage the splurges. 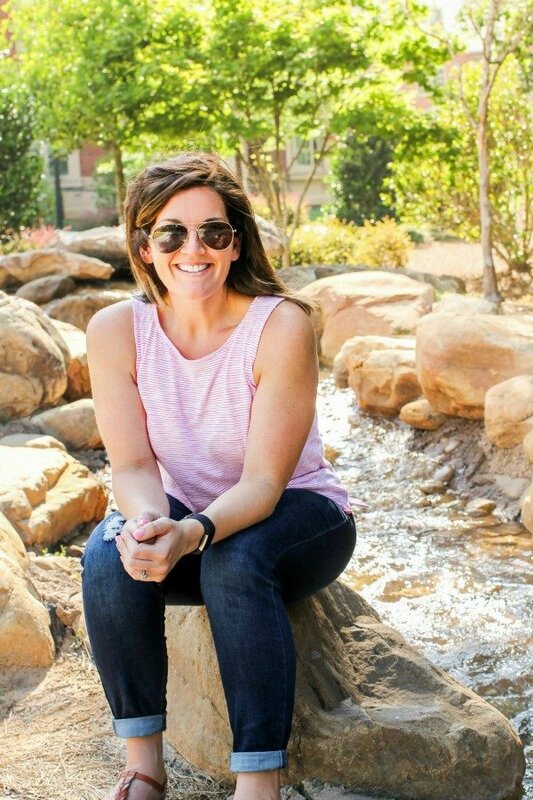 I had GD with both of my pregnancies, but I still ate ice cream and sweet treats. You just have to be careful and keep it under control. I haven’t tried the 7Up but the root beer one is really good! What brand of veggie burger do you get? We are still a year or so from trying to get pregnant, but these are good tips to keep in mind for then! I already love DP 10 though! I wish I had read that when I was pregnant! I put on 70 pounds! The morning sickness was horrible for me! I know what you mean though about cravings! But of course whatever works, right? I did enjoy ginger ale during all three of my pregnancies. I even tried making my own, and it turned out pretty good!